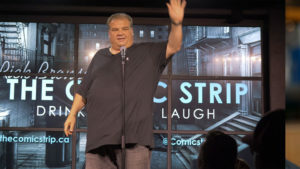 This docu-series provides an unfiltered glimpse behind the scenes of an iconic group of comedy clubs, its cantankerous owner, and the infamous group of comics who headline the clubs. The project was selected to receive The Calgary Film Centre’s inaugural production grant in 2017. 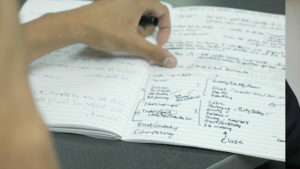 RabbitView has a wealth of experience producing documentary content. In addition to producing a documentary on a comedic stage hypnotist for The Documentary Channel, and co-producing a documentary for CTV on women in combat athletic, RabbitView has produced 80 sports-oriented documentaries for International broadcast distribution. The Comic Strip is an unscripted series that mixes a character reminiscent of Larry David with the comedy club elements of Seinfeld and the behind-the-scenes fun of The Larry Sanders Show. 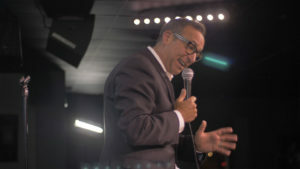 The setting for the series will be the comedy clubs owned by industry icon Rick Bronson in Edmonton, Phoenix, Minneapolis and New Jersey. 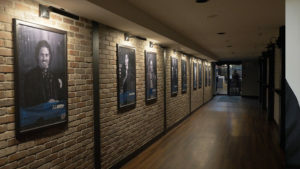 With full and unrestricted access, the series provides an unfiltered glimpse behind-the-scenes of some of the leading comedy clubs in North America. 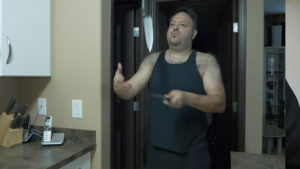 We’ll see the day to day operations of this crazy business Rick runs with his madcap family, as well as the challenges and victories they face as Rick tries to add more clubs and become a comedy mogul. And of course, there are the comedians. From the famed names audiences know and love, to the talented openers trying to become the next big star, the series will be filled with comedians continually jockeying to top each other with the most creative zingers. 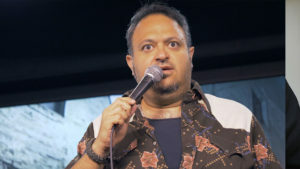 Rick Bronson is a self-described “comedy nerd”, who started working professionally as a magician at age 12 before becoming a busy and successful stand-up comedian. Rick has “done it all and seen it all” when it comes to comedy. Travelling the globe with his acerbic act, Rick earned a sizeable cult following, one that provided a platform for developing and hosting his own offbeat travel show, The Tourist. Rick has worked on numerous films and television projects and has hosted events for the likes of Bill Clinton, Mark Burnett, Martin Short, and Dr. Phil. 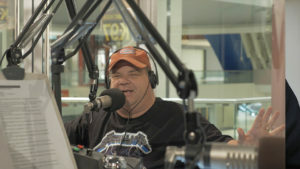 Rick is now consumed with propelling The Comic Strip to the “next level” and establishing himself as a king of comedy. He’s also on a constant quest to discover the next new talent – a diamond in the rough he can polish towards stardom. While Bronson’s fuse might be short and his unceasing ambition is always conspicuous, his love of comedy is undeniably infectious. His ability to dissect the craft with big-name Hollywood headliners and fresh up-and-comers working at his clubs is second to none. In revealing the backstage banter, green-room shenanigans, and normally unseen inner-workings of a comedy club, this series will highlight the diverse comedic personalities and talents that adopt this sometimes solitary calling. The efforts of upstart comics like Brett Forte, a home-grown comedian who won the club’s “funniest person with a day job” contest, will be juxtaposed with Rick’s courting of top-headliners on golf outings, his podcast, and in casual drinking and dining settings. This program will also spotlight a wide-range of onstage performances; we will howl with laughter alongside stand-ups who have their audiences in hysterics while engaging in colourful crowd exchanges. And on occasion we’ll also quietly cringe at comics that hear crickets while bombing or being heckled. And while Rick can regale anyone with monumental tales of gut-busting on-stage moments, he says, “Sometimes, the best performances are when we shift the spotlight behind the curtain.” Long days, late nights, and a demented cast of characters with more than their share of vices means his clubs are not only iconic for the big laughs that happen on-stage. Handling headliners with Hollywood egos, dealing with desperate open mic’ers clamoring for stage time, and managing the eccentric and idiosyncratic veteran comics, who all walk through the club’s doors with their varied baggage, sordid tales, and quirky demands is more than a full time job, but he has help. Working directly alongside Rick is his strong-willed wife, Tammy, a former model who now books the clubs’ talent. Rick’s also trying to groom his disinterested son Noah to one day take over the family empire, but Noah invites more one-liners than applause from his dad. Audiences will enjoy seeing comedians offstage, prepping for shows, greenroom interactions, and a variety of additional behind-the-scenes antics reflecting comedians’ daily rituals and interpersonal interactions. Hilarious banter among comedians in their down time, travel to and from airports, looking for meals, hanging out at the hotel bar, visiting local spots, running errands, talking shop, trading tales, ribbing each other and complaining, the mundaneness of the road, dealing with local media obligations, and crafting their set, will all be showcased. For these humorists, the comedy club is a sanctuary, a place where they can hone their craft, ply their trade, commiserate, work out material, and test whether their observations and insights ring true. 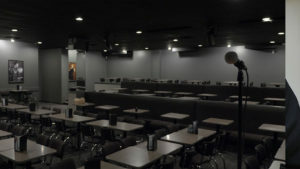 Most importantly, the club is a refuge where comedians can garner laughter and audience appreciation. The Comic Strip will reveal this compelling nocturnal world centering on the comedy club and illuminate the captivating comedic characters, journeys, and stories that colour this setting.